Rub the chicken that you plan to put on the bottom with the Curry based dry rub.. and use the Chef's Choice rub for the top chicken.... I do this because the curry based rub has a distinct flavor and if you put the curried chicken on top, it's drippings will baste the bottom chicken. 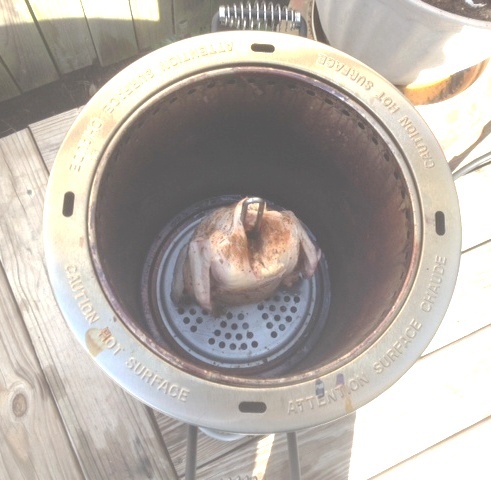 Pre-heat the oil-less turkey fryer. 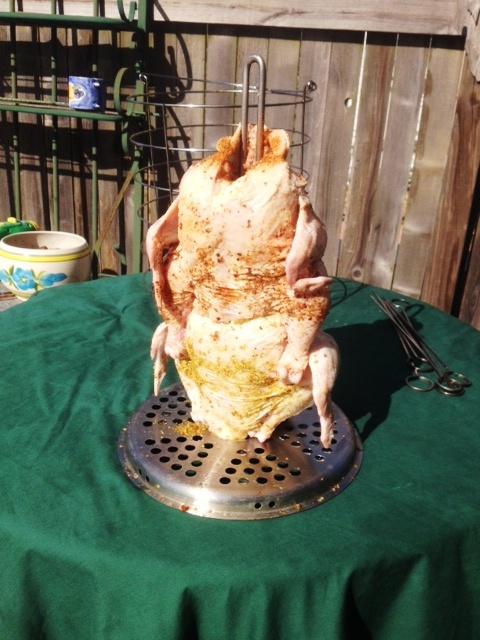 Use the turkey fryer pole and push the pole up the curried chickens cavity, the leg, then shove the chef's choice rubbed chicken on the pole. See the pic on the left. 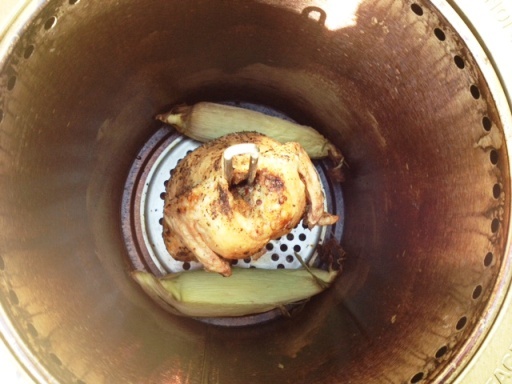 Oil-less fry the chickens for 1 hour, then carefully place into the fryer the corn on the cobs, (With the husks still on). And continue to roast for about another 45 minutes or until the internal temp of the chickens are 165F.. Use the hook supplied with the fryer and remove the chickens allow them to rest for 10 minutes. Meanwhile, remove the drippings from the bottom of the fryer. Pour the drippings into a saucepan. Over medium heat add the drippings and gravy ingredients listed above, except for roux. Simmer for about 5 minutes or until the onions are translucent. 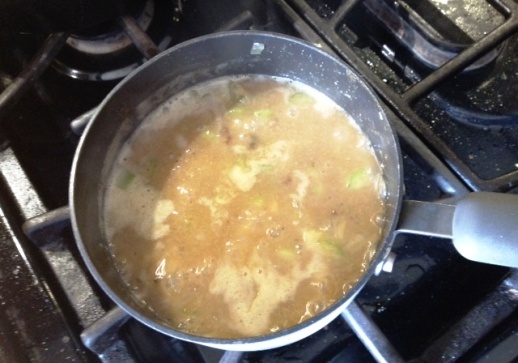 Then remove a half cup of the sauce and temper the roux, add that paste back to the gravy. Incorporate the paste and simmer for an additional 5 minutes, Serve. 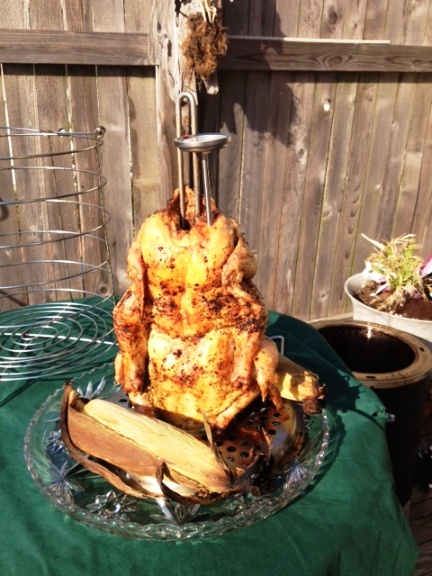 For an added flavor and juiciness, inject the chickens with any marinade that you like! Also, while cooking add a couple of ears of brine saturated corn for roasting. Pull down the husks from the corn and dip in butter. 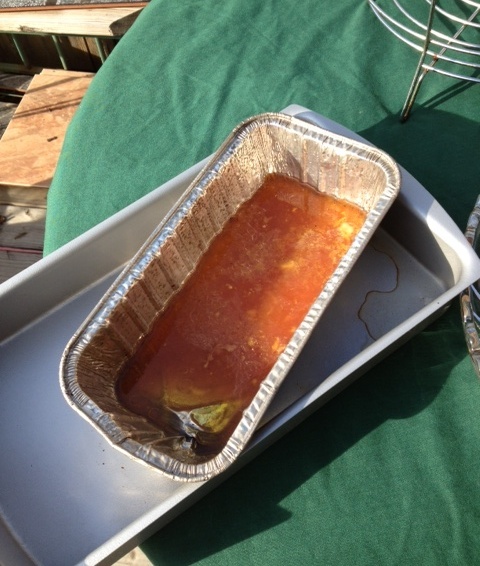 Pull the chicken meat from the carcass, and serve the gravy in a preheated gravy boat. 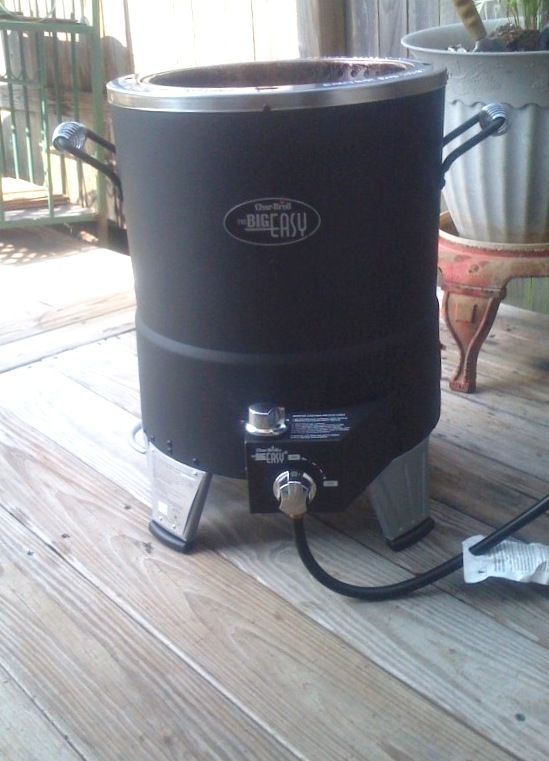 For more info on the Oil-Less Turkey Fryer click HERE! 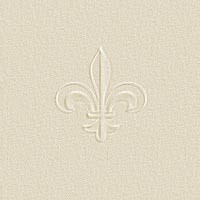 The Big Easy is really that EASY!! 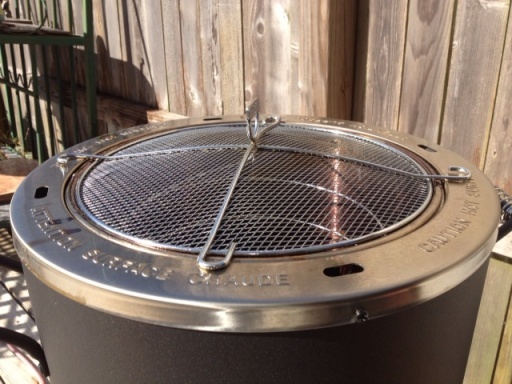 It takes about 30 minutes to assemble out of the box, and you have to do a one time season of the interior stainless steel cooking drum with oil before use (and additional 30 minutes), but from there on..... you are good to go!! ... The darker the char the better the fryer cooks because of the infrared heat radiated by the darkened surface. 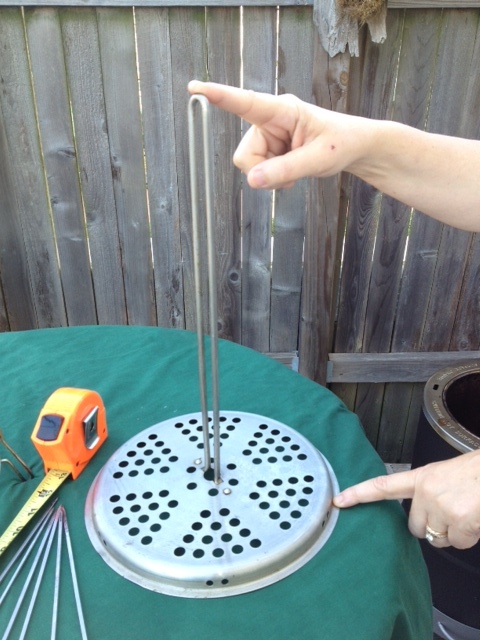 The Oil-less Fryer comes with a wire mesh lid that is used in cold or windy conditions, otherwise the lid is not required. In fact it could cook the meat too quickly, and you really don't want that.!! 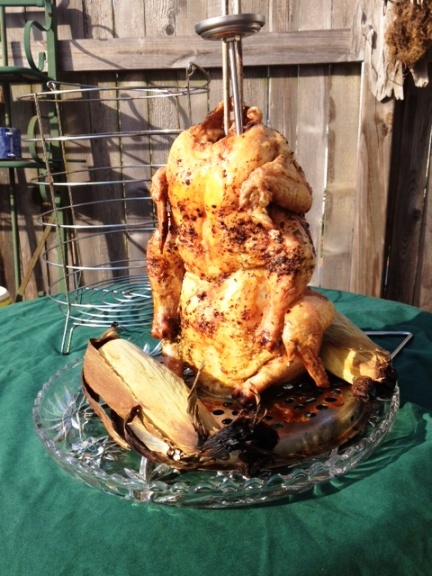 Also, for this recipe.... you will need the center portion of a Turkey Fryer that DOES use oil, mine is the prefect height of about 13 inches. (See Pic, left) The pole based insert keeps the chickens in the center of the fryer, and you don't get any marks that a basket would produce. Copyright � 1995 - 2012, Aurora Catering, Inc. All rights reserved.